After way too many delays, I finally present to you the fourteenth edition of The Hip-Hop Dojo. These playlists keep getting larger and larger, which is really a good sign for the state of hip-hop, as it means there’s way too much quality material for me to even sort through on a weekly basis. Like a trooper though, I’ve powered through to bring you some of the best the game has to offer. We have quite the eclectic group here for you, with a few artists showing off their versatility by making repeat appearances throughout the playlist. Among them are returning veterans like Chance The Rapper, Hit-Boy, Alchemist, Action Bronson, and Domo Genesis as well as newcomer, Sean Dee. Hit-Boy in particular had a strong showing this week, tackling some recent singles from two of his favorite idols. For his first effort, Hit-Boy recruits Rockie Fresh to aid him with a remix of Jay-Z‘s “Somewhere In America.” While Jay’s line about Miley Cyrus had everyone in stitches, I have to say Rockie’s little jab at Amanda Bynes might actually be just as clever. On the second cut, Hit-Boy puts his own stamp on Kanye’s “New Slaves,” flashing his shiny “New Chains” for the whole world to see. It’ll be interesting to see what Hit-Boy has ahead of him now that he’s officially parted ways with G.O.O.D. Music. Leading off this week’s lineup is one of my absolute favorite groups from the 90’s, Camp Lo, who team up with Pete Rock and Mac Miller for a fun little ode to the always alluring Megan Good. Alchemist came through this week as well, releasing a mini-EP in collaboration with streetwear company SSUR, featuring the likes of Freddie Gibbs, Domo Genesis, Action Bronson, Blu and more. If I had to base my decision on production alone, then the dreamy soundscape on Na$im Williams‘ “61 Lilies” would be a lock for the top honors this week. Luckily, each emcee that touches the record has the bars to match. Devin Miles reminds us of at least one reason why summertime happens to be the most beloved of all seasons through his latest single (hint: it has something to do with “Sundresses”). Bishop Nehru recently dropped off one of the most impressive mixtapes of the year with strictlyFLOWZ. We’ve only provided you with a small bite here, but we’d like to think that at only 16 years old, it’s pretty evident that Nehru has a bright future ahead of him. Words cannot describe my excitement when I first discovered Atmosphere‘s new single, “Bob Seger.” While the title may seem odd at first, it has plenty to do with this exchange right here. I guess Slug draws his inspiration from Twitter now. With a rumored seventh studio album in the works, we’re hoping “Bob Seger” is just a taste of what’s to come from one of the most accomplished hip-hop acts of the last fifteen years. Speaking of accomplished underground artists, Tech N9ne surprises us with one of his most personal tracks to date, addressing much of the criticism he’s received towards his art, and how he handles it. It doesn’t hurt that he gets a fiery new verse from Kendrick Lamar too. If you need any more convincing that MeLo-X is one of the illest emcees doing it right now, look no further than “Natural Vibez,” which is equal parts chill-out anthem and equal parts trunk rattler. In case you missed it, check out MeLo’s terrific GOD: HiFi project; it’s an absolutely must listen. Chance The Rapper isn’t quite done with the acid rap, teaming up with ProbCause to bring us a trippy new ode to “LSD.” It’s a well known fact that Space Jam is easily one of the greatest films ever made (anyone who tries to argue this just doesn’t understand modern cinema), so when I saw this single from Audio Push appealing to my nostalgia, I just had to press play. Sampling a portion of the classic theme song, the West Coast duo transforms the hyped up tune into a certified dance floor anthem. We hope you guys enjoyed our fourteenth edition of The Hip-Hop Dojo as much as we did! 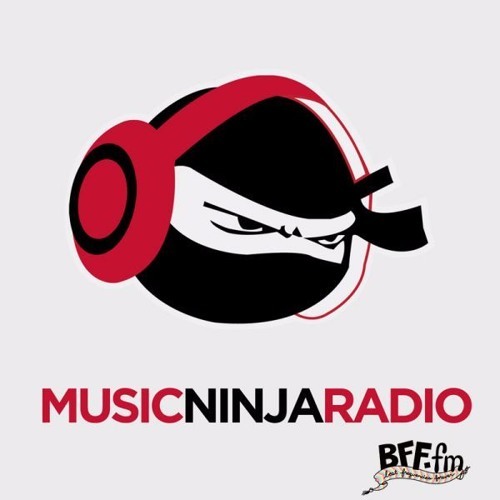 As always, you can send all submissions/suggestions to baseer@themusicninja.com.